« Could Grizzlies Keyon Dooling Inspire Pro Athletes with Abortion Loss to Find Healing? Rev. Scott Miller shares a powerful reflection on the struggle in one man’s heart and soul who suffered after his involvement in the abortion of his unborn daughter. 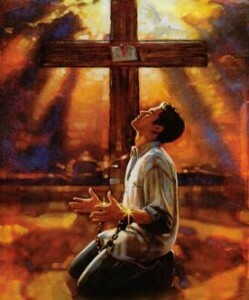 He reveals an intense struggle, that many of us share, to open up fully to God’s forgiveness because of fear and pride. Rev. Miller reveals that ultimately it is an act of grace freely given out of love… that we learn to embrace in humility…this is the root of a deeper forgiveness and healing from the shame, guilt and pain after abortion. righteousness which I could not earn on my own merit. God bless all who are in need of His undeserved favor. * Thanks Rev. Miller for having the courage to share your experience. Rev. Miller has been a leader in education and programs for post abortion healing for women and men and a friend and colleague in Rachel’s Vineyard ministry for many years. Sometimes as men we want to be strong, be in control, handle things on our own terms. That can be ok in other parts of our lives…and at times a real strength. But when it comes to sin like abortion, wounds that touch the deeper areas of our heart and soul…we need to learn to let the Divine Physician take control. This usually means finding an after abortion healing program where you will find the support and experienced staff, some who have experienced abortion themselves, to guide you through the recovery process. If you were touched by Rev. Miller’s reflection, please take the next step and look at these resources for healing. This entry was posted on Wednesday, May 29th, 2013 at 7:45 pm	and is filed under Uncategorized. You can follow any responses to this entry through the RSS 2.0 feed. You can leave a response, or trackback from your own site.